As a busyyyy student with quite many outdoor activities, my skin is getting tanner from time to time, and sadly I don't really have time to go to salon / spa . When I have short day off or weekend, I choose to stay at home to take a rest because I'm too lazy to go out and too lazy to wait in the salon. Lol. Honestly, I want to have a whiter and healthier skin. 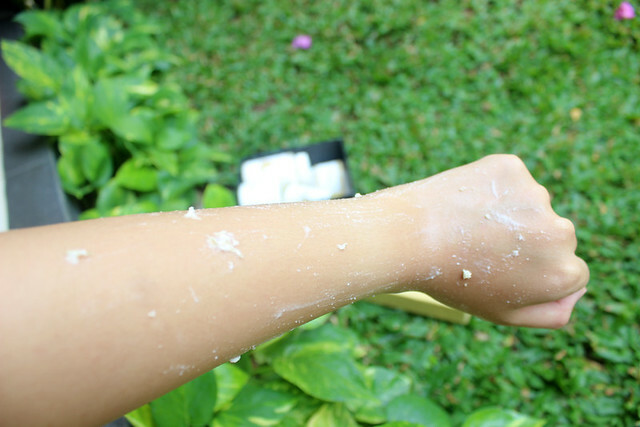 My skin is dry (been using body lotion religiously, my arms' skin is not dry anymore, but my legs' skin is still so dry) and I have some 'belang' parts too on my body like at my wrist (because I wear watch everyday), and the bottom part of my leg (because of socks). So.. 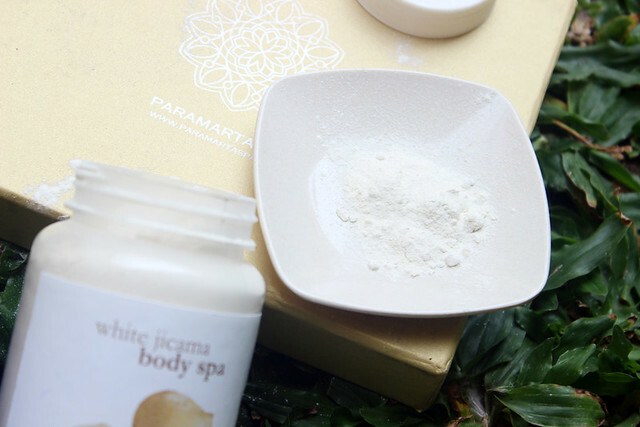 I really like home-spa product like this one that I received from www.PARAMARTASPA.com. It's very affordable for students, very easy to use at home by ourselves at anytime we want, and it's made of natural ingredients which are safe for our skin. 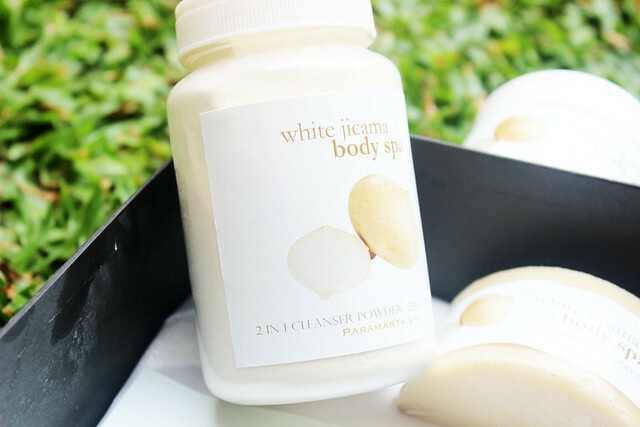 I pick the WHITENING JICAMA SPA (bengkuang) . 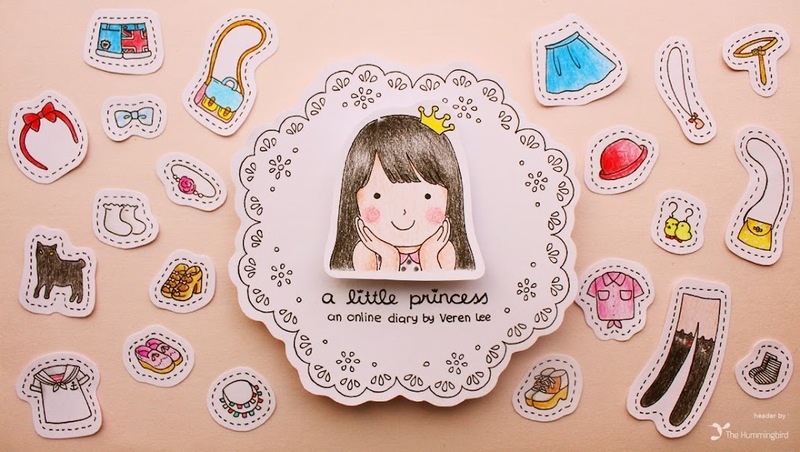 The price for this set is IDR 248,000 which I think is veryy cheap for a complete treatment like this. It smells so fragrant but I don't think it's jicama's smell. But believe me, the smell is good and doesn't smell like any other tacky jamu ( herbs ) smell. 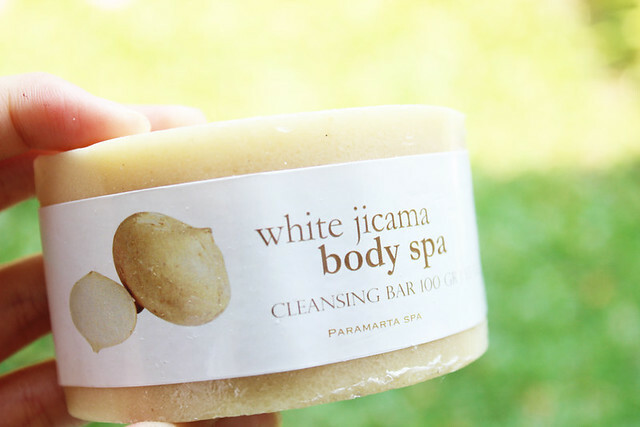 The product's description: Jicama is rich of pachyrhizon, B1 & C vitamin. 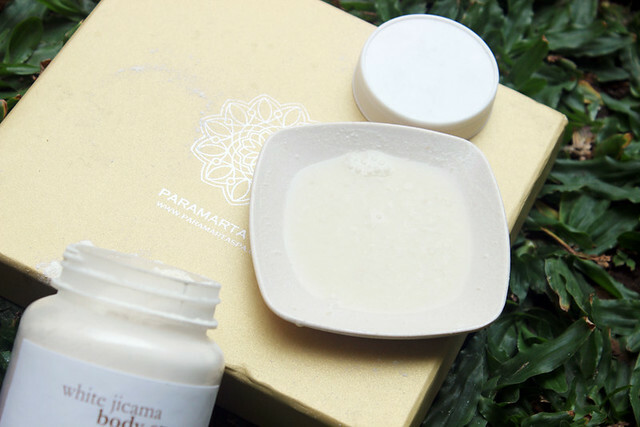 The mineral composition is a perfect cleanser to make the skin appears brighter and whitener . Softer and brighter skin from the 1st use. Whiter and brighter skin after a regular use. 1. Massage your body with this body oil. You can do it yourself inside the bathroom or ask your mom / sis to do it for you before you take a bath because you need to leave it for 5 minutes before you use the body powder. Put a little bit too much water when I took this pic. Add some more powder. If you can feel the blobs of the mixture, then it's right ;). This scrub is very useful to exfoliate your skin, removing the dead skin cells and the dirts on your skin which won't leave with just a body soap. Scrub it all over your body. Arms, neck, legs, armpits are the most important part. 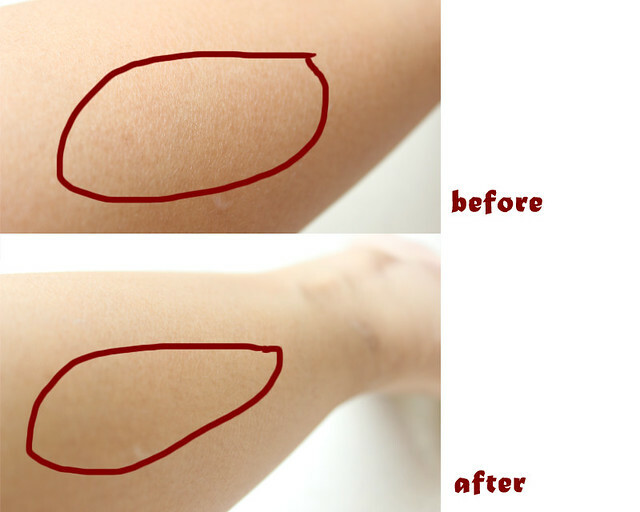 You'll feel your skin is smoother, cleaner and brighter after using this scrub. 4. 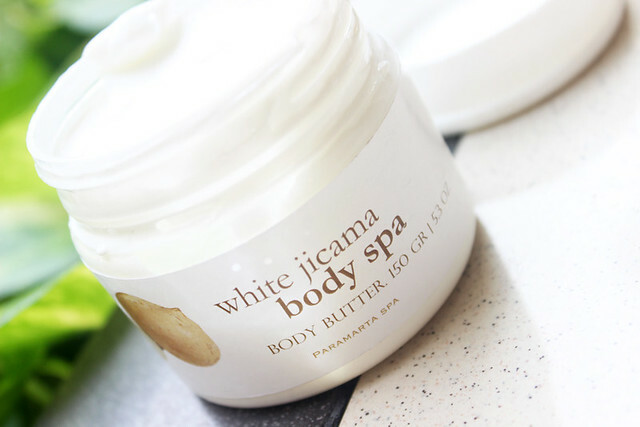 Another product that you can use everyday from this set is the body butter. Not only brightening our skin, but also moisturizing! You should use this product every time your skin feels dry. Overall, I LOVE this product and totally recommend you who also don't have much time to go to salon and have tight budget for spa treatment. Our good habit will lead us for a healthy skin. As we're still young, a good skin product is a good investment for our future! My fellow teenagers / young women, you'll regret it later if you don't start taking care of your skin. Don't go out under the direct sun too much (I know it's hard if we're still students :( )and always remember to moisture our skin with body butter everyday and exfoliate with body scrub at least once a week. Make sure to check their instagram for complete catalog, beauty tips, and consultation! 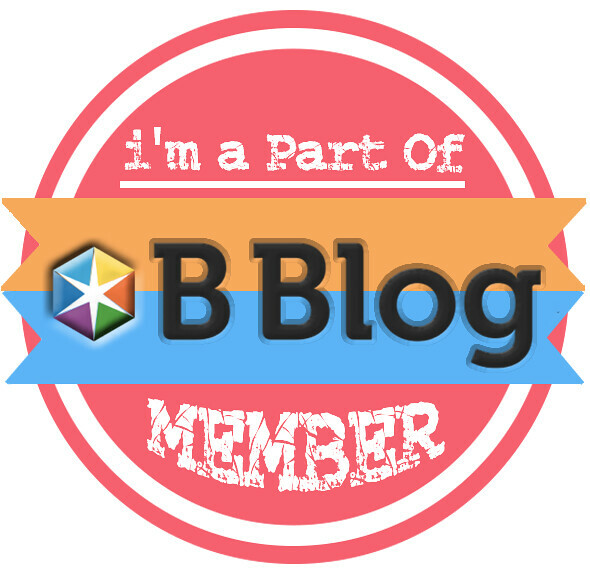 Would you mind following my humble blog? Great review! Thank you Veren!